Today is a very special day for us here at Calton Nutrition, and we want to share the excitement with you! 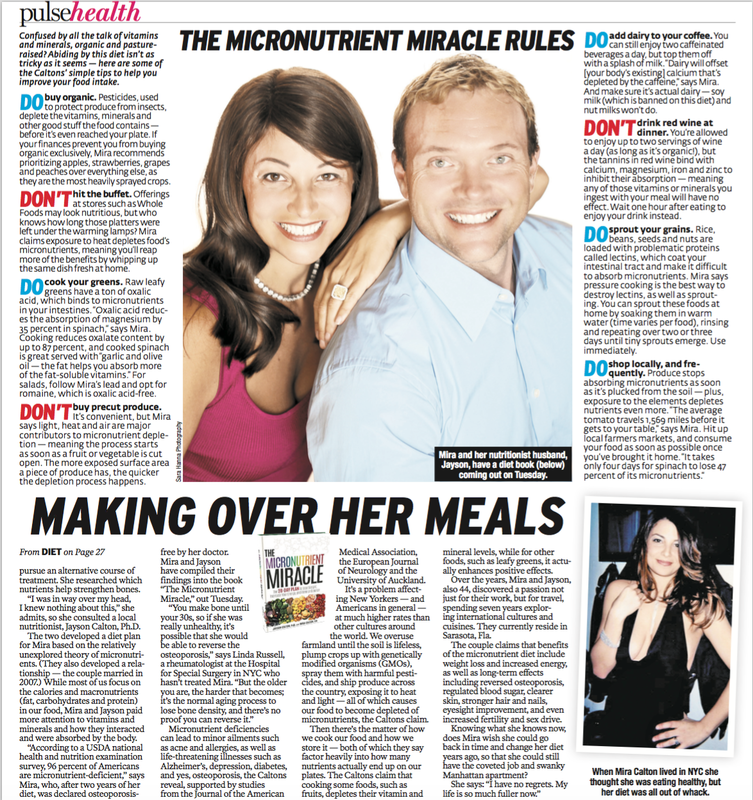 Our book, The Micronutrient Miracle, is releasing tomorrow and we're honored to celebrate it's release with a 3 page featured article in the New York Post. If Starbucks, spinach salads and take-out dinners sound familiar to you, or somebody you know and love, we want you to share this with them. 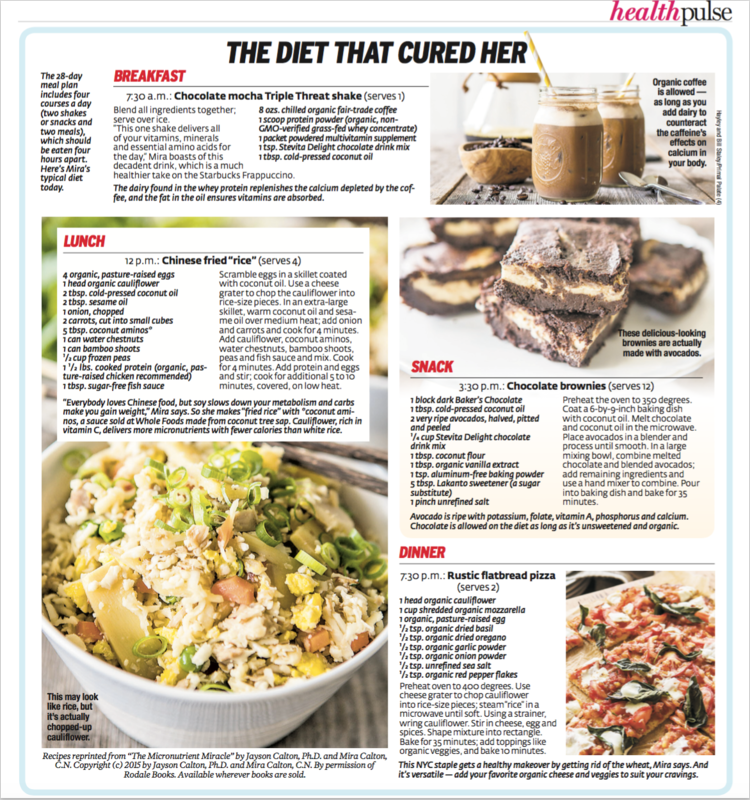 It's safe to say that Mira's diet was killing her, and while it seemed to her that she was making smart choices at the time, it's clear that was not the case. Being able to share this story with the world is such an amazing gift. What's even better? Being able to get our Micronutrient Miracle protocol in the hands of so many people! We've partnered with several companies to set you up for success when beginning the Micronutrient Miracle plan. To order a copy, or to simply learn about what free gifts you'll get when you order a copy, watch this video.